FRIDAYS IN DUBAI: Please note that on Friday the museum's and Souq's are closed in the morning and will reopen in the afternoon. For this reason your itinerary will be amended to accommodate this. Please speak to your booking agent for more information. ITINERARY CHANGES: Our itineraries are updated regularly throughout the year based on customer feedback and to reflect the current situation in each destination. The information included in this Essential Trip Information may therefore differ from when you first booked your trip. It is important that you print and review a final copy prior to travel so that you have the latest updates. Due to weather, local conditions, transport schedules, public holidays or other factors, further changes may be necessary to your itinerary once in country. The order and timing of included activities in each location may also vary seasonally to ensure our travellers have the best experience. Your tour leader will keep you up to date with any changes once on tour. Welcome to the UAE! There's a welcome meeting at 6 pm today, after which we'll head out for dinner. You're free to arrive any time before that. 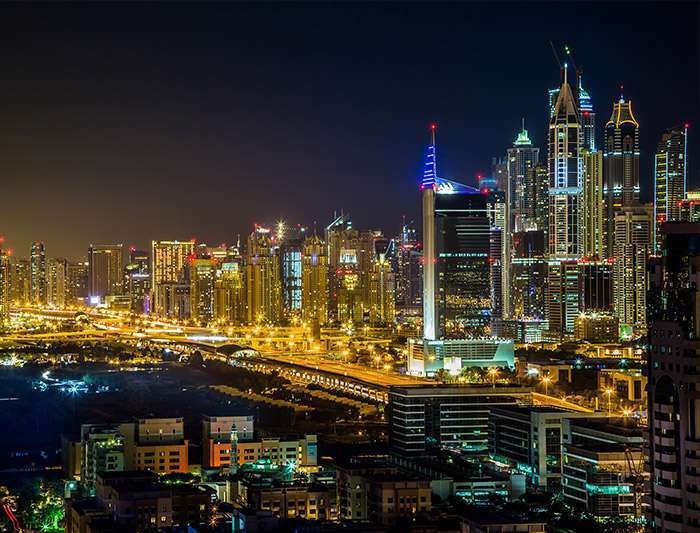 To call Dubai the 'little fishing village that could' is an understatement – this city has well and truly made it big, at least as far as opulence and grandeur is concerned. The abundance of supercars is one of many manifestations of this wealth. But there's so much more to Dubai for those willing to delve deeper. Check out man-made islands sculpted into the shapes of palms, visit the famous kilometre-tall tower (or nearly a kilometre), explore the heritage area of Bastakiya, or wander the spice and gold souqs. Keep in mind we'll be covering some of these things once the trip starts. After the welcome meeting tonight we'll head to the Sheikh Mohammed Centre for Cultural Understanding (SMCCU) for an informal dinner. The centre provides a bridge between the many different nationalities living, working and visiting the UAE. 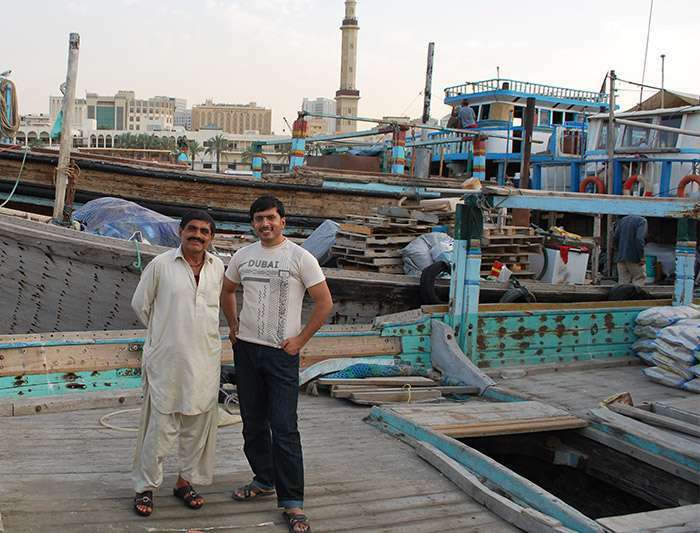 Today we hit the streets for a tour of Old Dubai. The tour begins with a gentle stroll to the historic Alfahidi district, one of the oldest heritage sites in Dubai. Our first stop is a traditional Bedouin tent where we will share a coffee and chat with our Emeriti friend Abo and find out more about the life of the Bedouin people (and meet his pet falcon!). At a neighbouring tent we learn more about the national dress of the country and take a look at some traditional abayadresses and kandoura (the all-white robes worn by Arab men). After visiting the Calligraphy Museum and Coffee Museum, we visit a local art gallery set in a beautiful old Persian house. Then it's off for a spot of shopping – a very Dubai pastime. After that we take a water taxi to the other side of the creek where a delicious surprise awaits us – dates covered in creamy white chocolate made from camel milk, a local delicacy and a must-try here in the old town. Finally we tour the spice souq and the gold souq, where your guide will naturally be on hand to guide you through any bartering if you buy anything. After the tour, the afternoon is at your leisure. Meet your Bedouin guides and set off for Abu Dhabi (1.5 hours), the capital of the UAE and of the Emirate of Abu Dhabi. The marble domes and towering minarets of the Sheikh Zayed Grand Mosque shimmer on the horizon as you approach the city. Enjoy a guided tour of this opulent mosque, the largest in the country and capable of seating 41,000. Then swing past the elegant Emirates Palace, which occupies nearly 250 acres of coastline along the Corniche and stretches almost one kilometre from wing to wing. Continue to Abu Dhabi Heritage Village, a model of a traditional Emirati village which gives insight into the heritage of Bedouin people such as your guides. In the afternoon, continue south-west to the edge of the great empty quarter. Liwa is the name given to this vast and almost barren region of golden dunes. Discover the legendary Rub Al Khali – one of the largest sand dunes in the world. Enjoy a spectacular sunset and some sand hiking before settling in to your private campsite for dinner under the stars. After a camp breakfast we head to Al Ain, stopping at Al Bithna Fort en route. Al Ain's name (literally 'the spring' in Arabic) stems from the six oases that have sustained Bedouin life here for 4000 years. It's one of the world's oldest continuously inhabited settlements. A tour of the oasis reveals thousands of plots farmed by Emirati families who manage more than 140,000 palm trees. 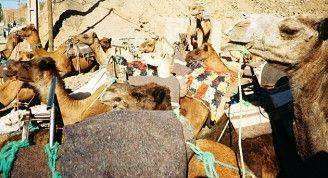 The camel souq in Al Ain is the last of its kind in the UAE, a place where 'working' camels are traded for about $5000 a head. Watching the trading is a slightly dusty and not that easy on the nose but it is an integeral part of Arab culture. Later we visit the Al Jahili Fort, which houses a permanent exhibition devoted to Wilfred Thesiger, the intrepid explorer, travel writer and photographer who crossed the Empty Quarter twice in the 1940s. After lunch we hit the road for an afternoon of some of the best driving in the UAE as we continue to Ras Ras Al Khaimah and the highest peak in UAE Jebel Jais at 1,925 m. The drive to the top can be windy but the road is well maintained and safety barriers are in place. It is cold up here, so you'll need to bring an extra layers! Later we continue to our oasis for another night in our igloo tents and some more heart-warming Bedouin hospitality. This morning we relax a little at camp before we making the journey back to Dubai. We'll arrive in time for lunch. In the afternoon we check into our hotel, then meet our local guide who will show us around some of modern Dubai including the Burj Khalifa. Soaring high at 555 metres, the observation deck is thankfully not something you have to reach by foot – the high-speed elevator takes us up at the furious rate of 10 metres per second. As the doors open, floor-to-ceiling glass walls provide a breathtaking unobstructed 360-degree view of the city, desert and ocean. Afterwards, the evening is yours, so kick back and relax with your new travel companions, or explore some more as you please.